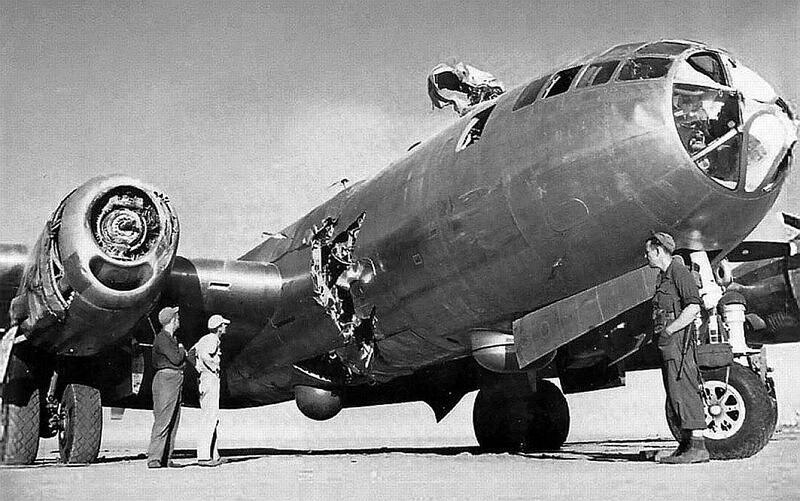 » B-29 lost its prop in flight which carved hole in fuselage. Pilot made emergency landing and collided with parked aircraft causing further damage to nose and top turret. Date and location unknown. Photo 1 of 2. This photograph has been scaled down; full resolution photograph is available here (1,100 by 689 pixels).